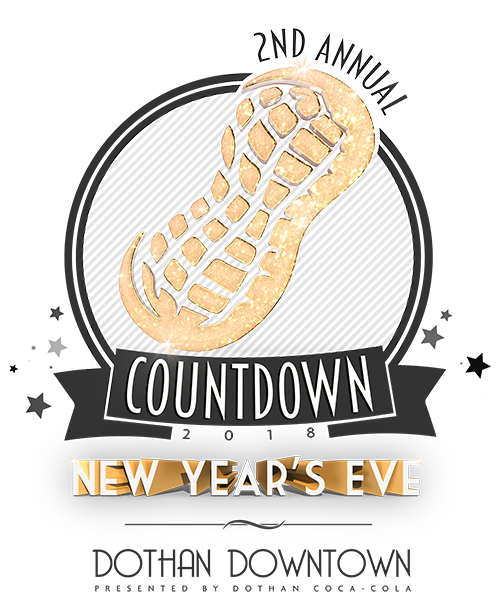 Ring in the New Year with us at our Dothan Downtown New Year’s Eve Countdown! The street festivities will take place on Foster Street and will include live entertainment, a midnight countdown and more. More information on the 2019 Countdown Coming Soon! Fun for the kids or adults only? We do have a fun kids area and an early countdown for the kids at 9 pm. Admission is free to our event so it won’t cost you anything to enjoy the sights. We do have some of our best food vendors on sight so you may want to bring cash. This is a rain or shine event which means we will be there, umbrellas on standby. Come out and join us for a cool, winter's evening downtown.